Advanced Business Software is committed to helping you improve your business. We have specialized in helping distributors just like you since 1988. The success of your business is our goal! Advanced Distribution and Management (ADaM) business software for Windows is a powerful integrated enterprise solution for wholesale distributors designed to help you provide superior customer service, effective inventory management, and critical assets management to improve your opportunities for growth and profitability. The ADaM system is easy to use and yet provides the powerful features that you need to manage your business into the future. Quick and easy navigation, flexible look-ups and 'Pop-up' inquiries provide quick and useful information at a glance and at your fingertips so you can serve your customers better. Because ADaM is easy to use, you can learn the system faster and utilize more of the features to your advantage. 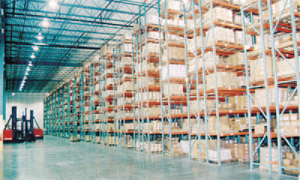 What are the important assets of a distributor? Inventory, Customers, Accounts Receivable and Cash, Employees and Time. ADaM is designed to maximize return on all of your investments. How does ADaM integration help you? Since ADaM is one cohesive software solution, information is seamlessly shared between applications and users. ADaM communicates with you. Using a feature called 'Event Notifications', users can be notified automatically of key events. For example, if a salesperson needs to know when a customer places an order, a pop-up message, e-mail, or cell phone text message can be sent automatically to the salesperson. ADaM is so intuitive that it makes training new employees real easy.